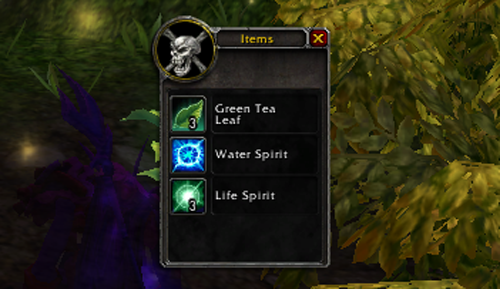 Blizzard recently added new herbalism items to the beta. They are similar to the “Lifegiving Seed” from World of Warcraft: Cataclysm in that they heal you up and give you mana. Life Spirit gives you 60,000 health over 6 seconds. Water Spirit gives you 30,000 mana over 6 seconds. For me they seemed to drop 1 out of 5 times that I picked herbs, so around 20%. That will probably change before release.